STEVE BENNETT, winner of the inaugural Irish Comedian Of The Year award in 2016, and a regular performer at the Edinburgh fringe festival, will headline this week's Comedy KARLnival at the Róisín Dubh. 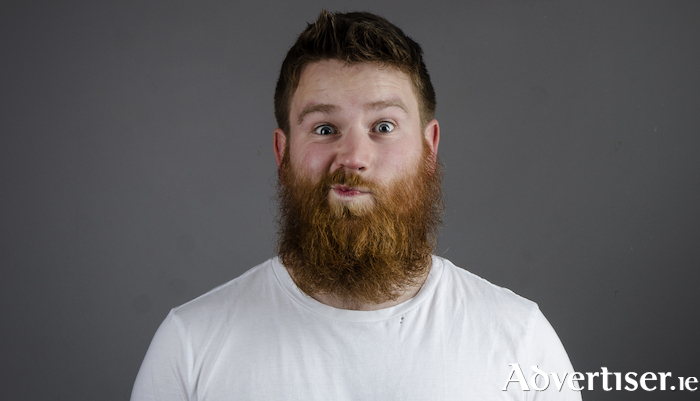 Steve, well known to Galway audiences, is one of Ireland’s most exciting comedic talents. Armed with that beard, and his trusty ukulele, he blends charming wit with musical comedy. He has played comedy festivals across Ireland, as well as the Perth, Adelaide, and Melbourne comedy festivals. Chortle.co.uk, said of his shows, "a feel-good experience is guaranteed”. Also on the bill is Stephen Ryan, winner of the 2016 Forbidden Fruit Comedy Competition, a finalist in the 2016 Irish Comedian of the Year competition, and a two time finalist in the prestigious Chortle Student Comedy Competition. This Limerick comedian has performed at the Edinburgh, Latitude, and Forbidden Fruit festivals, as well as at TedFest and the Vodafone Comedy Carnival Galway. Support is from Neil ‘The Ferit’ Feiritear, an up and coming comic from Dublin, who was a finalist in the recent Show Me The Funny’ comedy competition in The Kings' Head. Karl Spain is performing at an Irish Comedy Festival in the far east - Hong Kong not Dundalk. In Karl’s absence this week’s show is hosted by Limerick’s second funniest comedian Steve Cummins, a regular MC at Dublin’s Laughter Lounge. The show is on Tuesday [March 12]. Doors are at 8pm. Tickets are €6 in advance from Róisín Dubh; www.roisindubh.net; or [email protected], Shop Street; or €8 at the door.